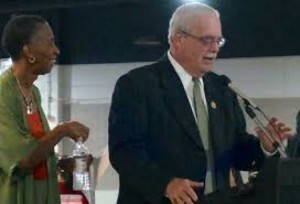 Rep. Gerry Connolly (D-Va. 11th) announced on Thursday – at his annual St. Patrick’s Day Fete — that he would seek re-election to his seat in the U.S. House of Representatives. Connolly, who is in his fourth term in Congress, was re-elected in 2014 with more than 57 percent of the vote. Prior to his election to Congress, he served 14 years on the Fairfax County Board of Supervisors, the last five as Chairman. Thus far, no Republican challenger has been named. The Virginia 11th Congressional District Republican Committee meets May 14, where it will most likely nominate a candidate for the House seat.